Love it or loathe it February plays host to Valentine’s Day which makes this officially the month of LOVE! 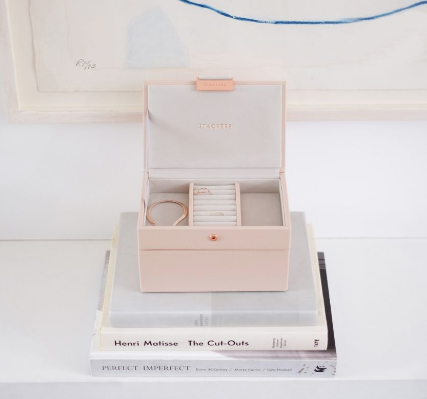 These stylish stackable boxes are the perfect way to organise your jewellery collection. Made with vegan leather & velvet this mini box provides a unique space for all types of jewellery, from bracelets to rings, to charms and watches. You can tailor this jewellery box further by adding new layers and accessories. Keep your ever-expanding jewellery collection tangle-free and organised. 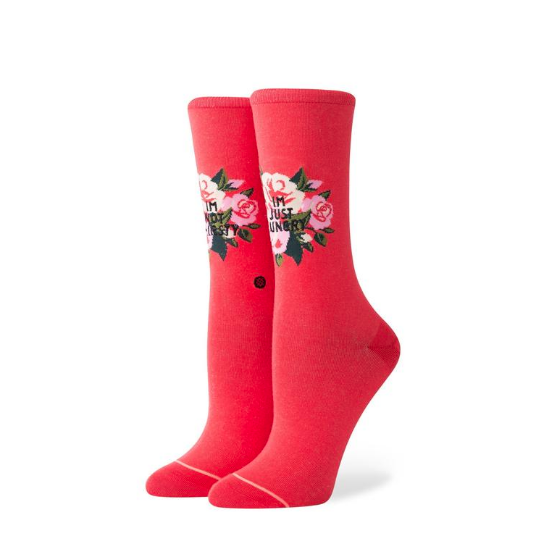 Roses are red, violets are blue, flowers die in a week so why not give the gift of Stance instead? These Not Thirsty Crew socks are an awesome Valentine’s gift idea for that special someone. FYI. If you’re not yet familiar with Stance socks then get to know, they’re the best. Part of the Mother of Daughters (Clemmie Hooper) and Rachel Jackson London jewellery collaboration, this over-sized initial necklace is a show stopper! Made with sterling silver and 22-carat gold plating. Featuring a long belcher chain that can be worn any length. For a different look, double up and wear short. Art deco inspired oversized initial with a subtly hinged ring for adding charms over time. Love is in the air with these heart-shaped range of doughnuts, including the Nutty Chocolatta Heart, the Raspberry Romance Heart & Smiley Heart. 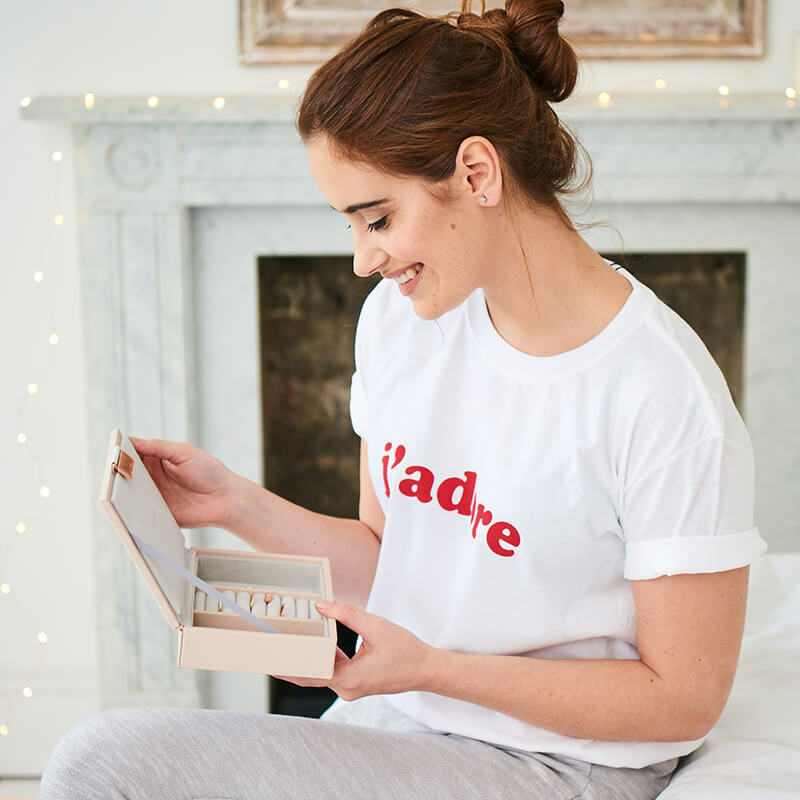 ♥️ What better way to show your man you care than with a box of ridiculously tasty Valentine’s treats. This hooded parka is made from a crisp cotton-mix with light padding and a smooth, silky lining. A clean straight shape with minimal detailing, it has two inside pockets, press-stud front pockets and a hidden button fastening, what’s not to love? Want our advice? Don’t bother slogging around the January sales this year. You’ll only end up spending a fortune on stuff you don’t really need. Your time, and money, would be much better spent trying some fun new experiences. Use these times to creating memories, and catch up with the friends that you didn't see among the December madness.